The First Class Customs Inc. Executive Class Sprinter. The Executive Class was designed as a High End Shuttle with larger seating, custom designed side walls, refridgerator and more. Today’s discerning business traveler requires the latest in amenities , comfort and technology. The Executive Class Sprinter from First Class Customs, Inc. delivers all that and more. With VIP Luxury Seating for Nine passengers in the rear. Our Executive Class Sprinter features power outlets for all electronic devices and has auxiliary video input for presentations as standard equipment. 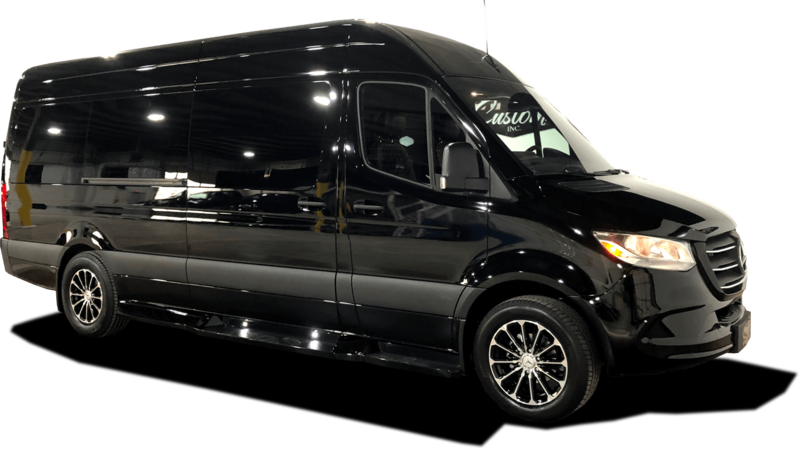 Our Executive Class custom Sprinter is available with several seating styles and colors.